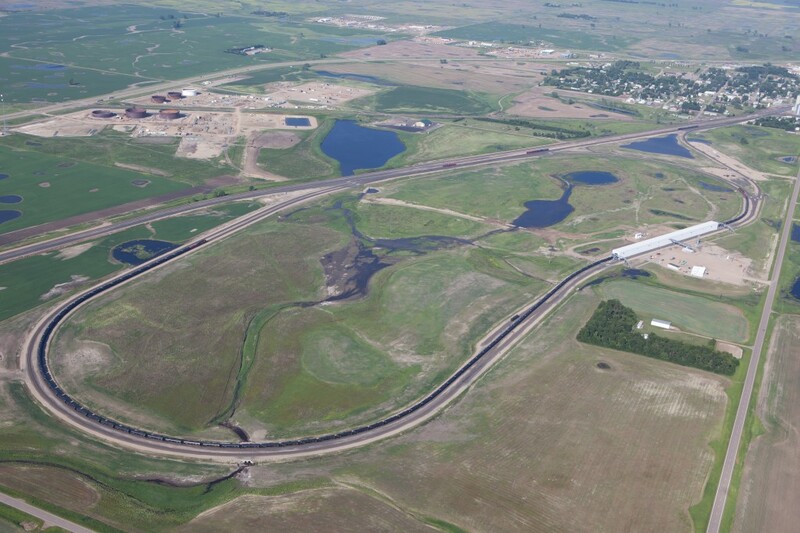 North Shore Track (NST) was the prime contractor for the construction of a double rail loop track and transload facility in Berthold, North Dakota, including construction administration and management. This project was developed in two phases. The facility first transfered oil from truck to train via a short wye track and phase two transfered oil direct from tanks through an underground pipeline to trains on a double rail loop. Facility constructed off of a BNSF served facility, Berthold Farmers Elevator (BFE), around congested operations coordinating both agricultural elevator, shuttle trains, unit trains of oil cars from fill loading, and unit trains of project aggregate. Coordination with BNSF for passing siding construction and tie-in, including grade preparation for siding extension. Signal pad construction, facility operations planning/coordination for service outages and loss of west end train access for BNSF related infrastructure installations.